It seems Google focuses more on Google Messenger than Hangouts and quick to add support for the latest system features. 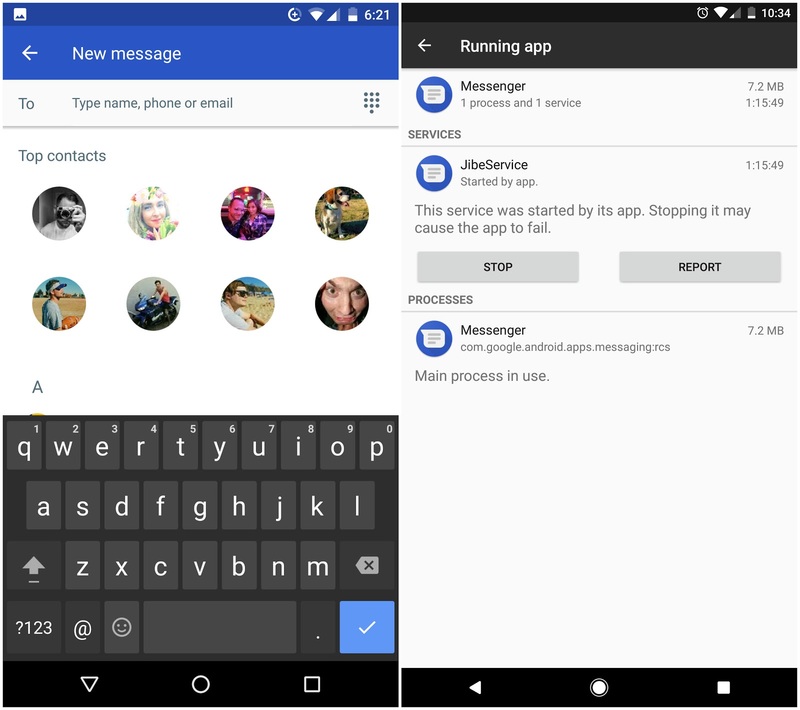 Messenger has just been updated to version 2.0 with a new icon and redesign that matches the general look of the Phone app in Android 7.1. 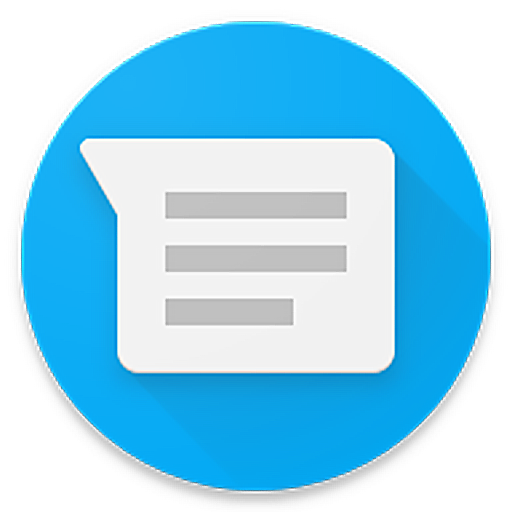 Updated from version 1.9, the latest version of Messenger features the updated circular app icon seen on the Pixel Launcher even on other, non-Pixel Android devices. Additionally, the notification bar icon has also been updated to match the new one depicted in the app icon. The top bar and FAB adopts the darker blue palette found in the updated Phone 6.0 app introduced alongside Android 7.1. The main message list is slightly denser with smaller profile icons, but is otherwise unchanged. Also there is an new setup screen which you can see on the first screenshot. The conversation view has been slightly redesigned with rounded bubbles for each message that matches the style of Google Allo. Version 2.0 is notably more compact; displaying more lines of text due to less padding and getting rid of the profile icon next to each of your sent messages. 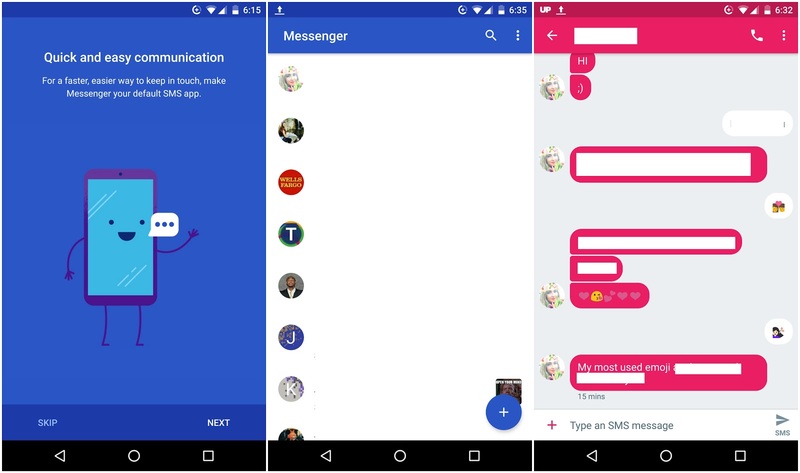 Also we found that Messenger has a new service called Jibe, which was acquired by Google in the past for RCS integration over SMS and MMS, let's see what surprises future holds. Additionally, text under the send icon notes whether you’re sending an SMS or an MMS. Besides the appearance, another major change is in the ‘New message’ screen. A ‘Top contacts’ section replaces the separate tabs for ‘Frequent’ and ‘All contacts.’ Your eight most frequently messaged contacts are displayed with their profile icons for faster access when sending texts or making group conversations. Immediately underneath, all your contacts are listed alphabetically.